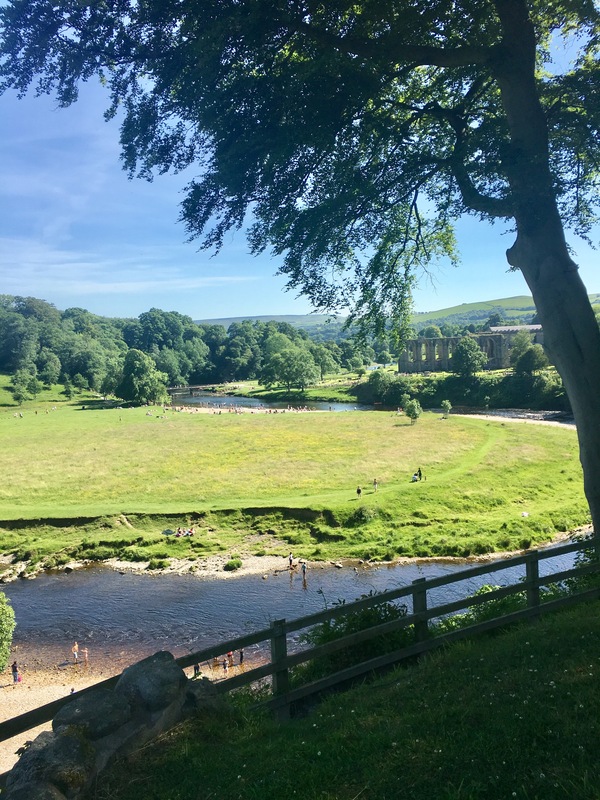 Bolton Abbey is beautifully situated upon the banks of the River Wharfe, in the heart of the Yorkshire Dales. We had been told it offers the most tremendous variety of activities for the family to enjoy. 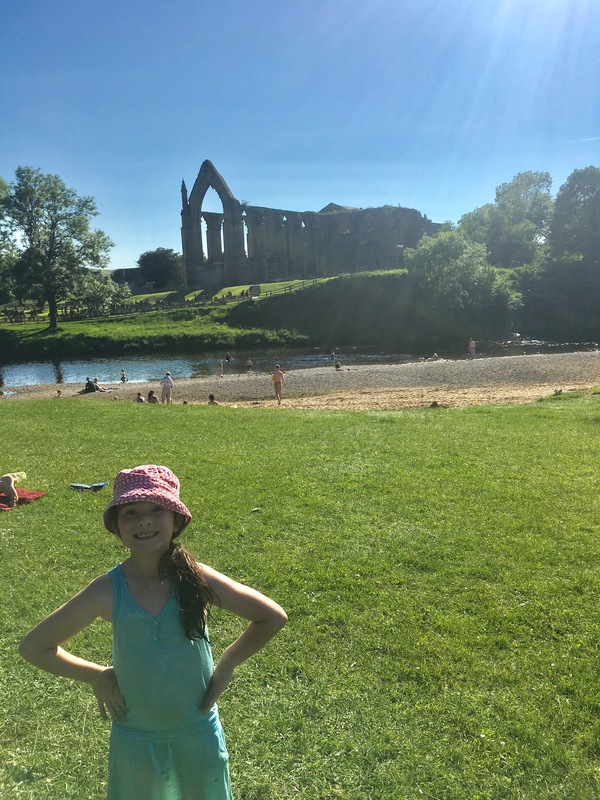 So, we packed our wellies, fishing nets, picnic and dogs into the car ( oh, and the children too ) and off we went to explore Bolton Abbey for ourselves. 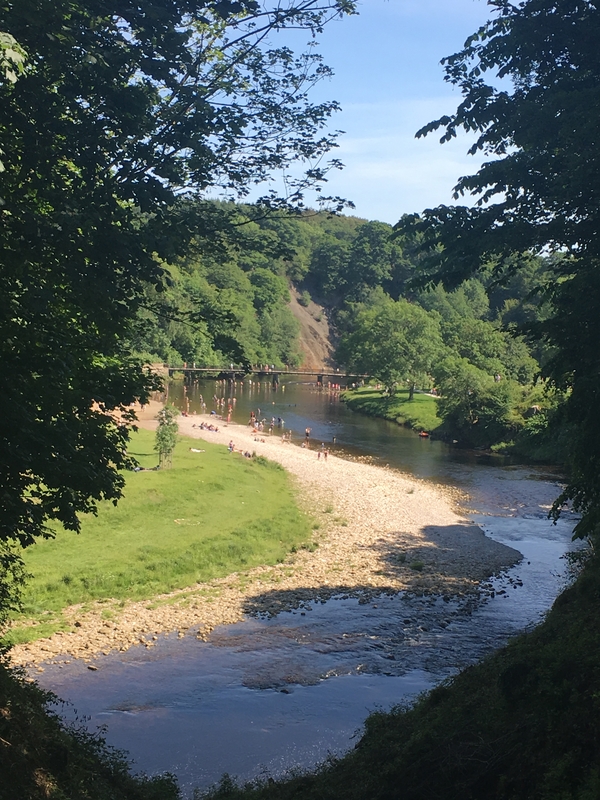 The view that greeted us as we drove down to the car park at Bolton Abbey was stunning. 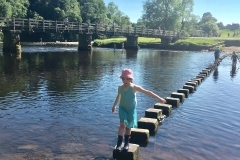 The glorious River Wharfe to our left – beautiful sparkling waters, rich with wildlife. 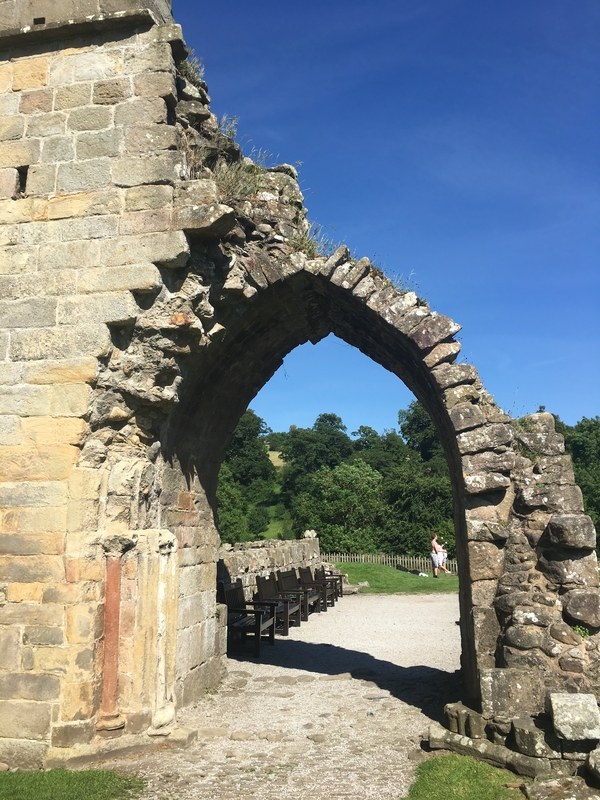 The magnificent ruins of the Abbey ahead in the distance. 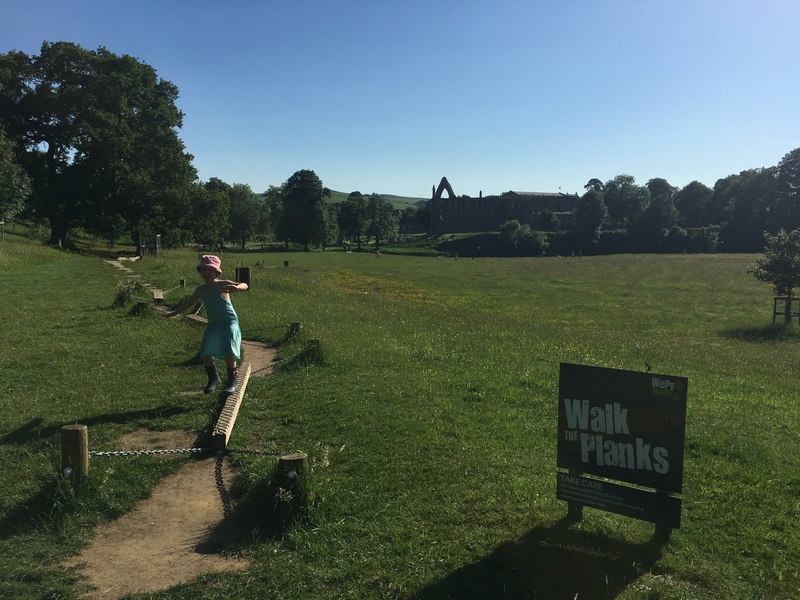 The car park itself was full of families enjoying the wonderful weather. 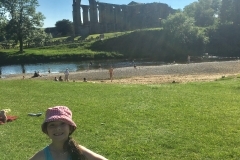 Parents watching children paddling in the gentle flowing river, some cooking on portable BBQ’s , others on rugs enjoying picnics. Some riding bikes, others playing ball with the dog. All generations basking in the sunshine and looking thoroughly relaxed. 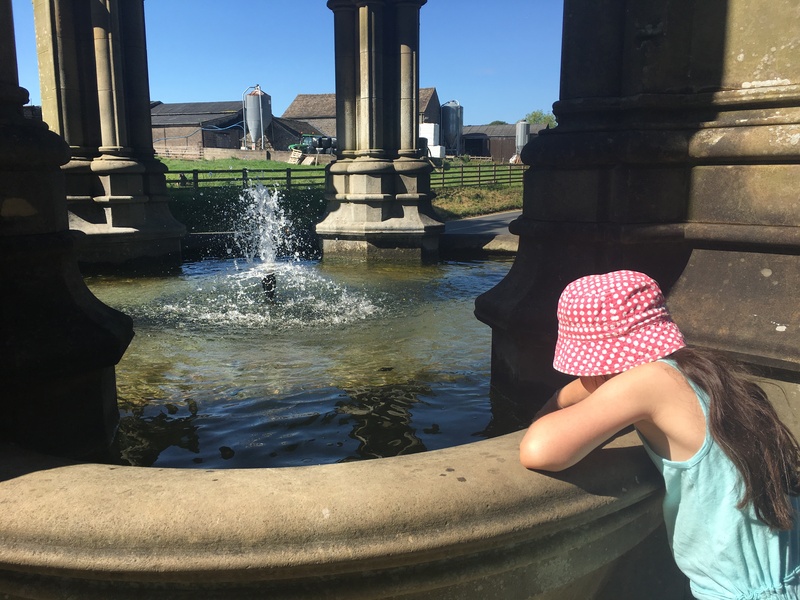 We were so lucky with the weather, it was a glorious, hot and sunny day and the children could not wait to go paddling in the river, exploring for tadpoles and feeding the friendly ducks. 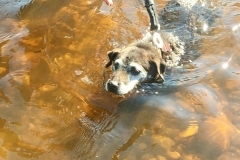 The dogs also thoroughly enjoyed a refreshing swim! 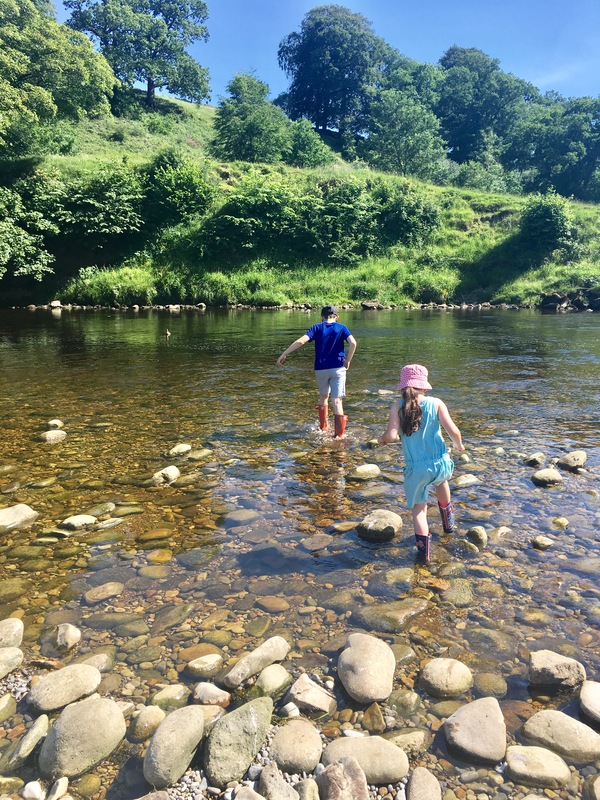 Princess D spent an age hunting for fancy stones in the water while Petrolhead A set about building a mini dam. They were so content and thoroughly engrossed in their activities that I was able to sit in the sun, not taking my eyes off them, of course, but relaxing all the same. The river side is so vast that there is no feeling of being crammed or squashed, which is refreshing. 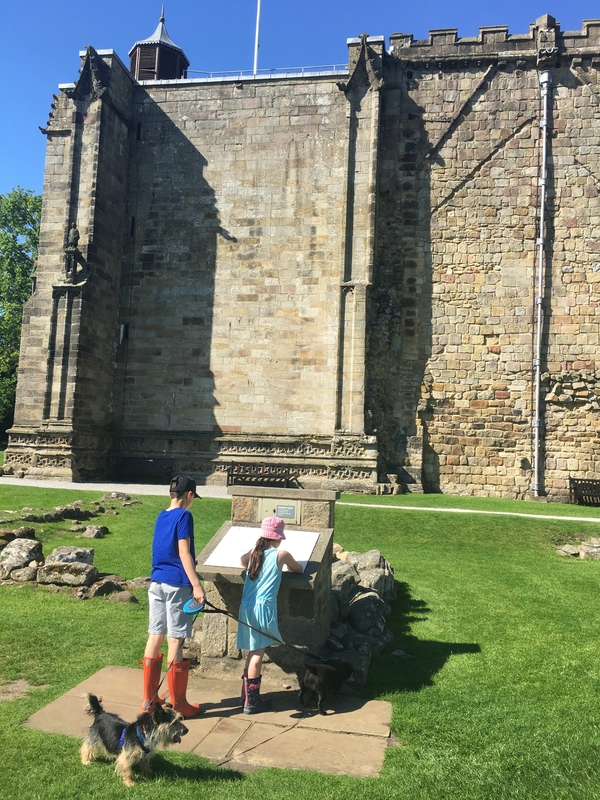 We headed on over to explore the abbey, a bit of a walk but the views along the way are worth it. 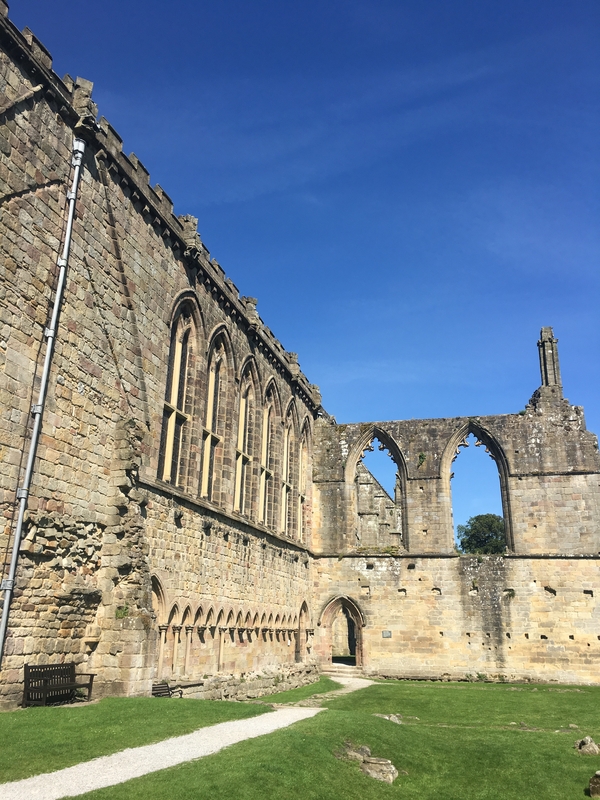 The abbey remains are magnificent and really capture your imagination as you think about times gone by. The whole site is immaculately kept. 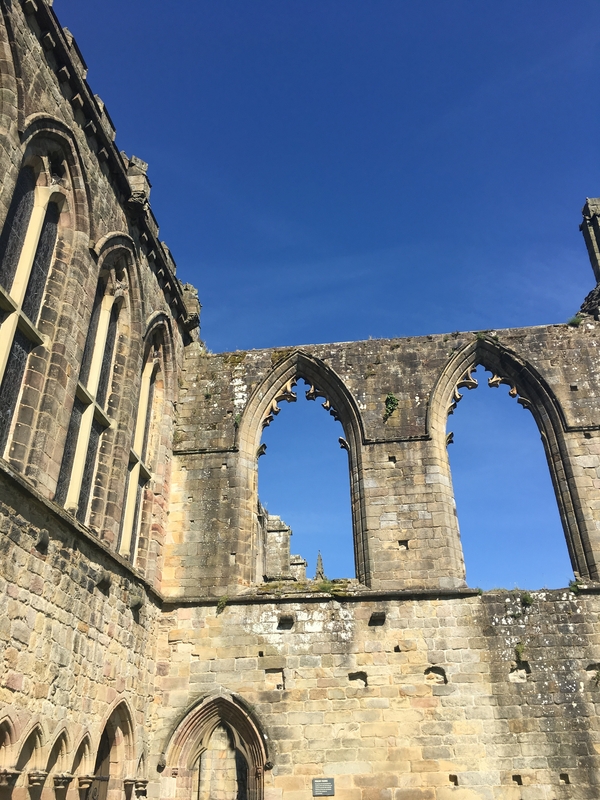 It was almost surreal as we wandered through the ruins – there were various people from all different walks of life, enjoying being there, but not just walking through and admiring the abbey. Actually embracing being there. 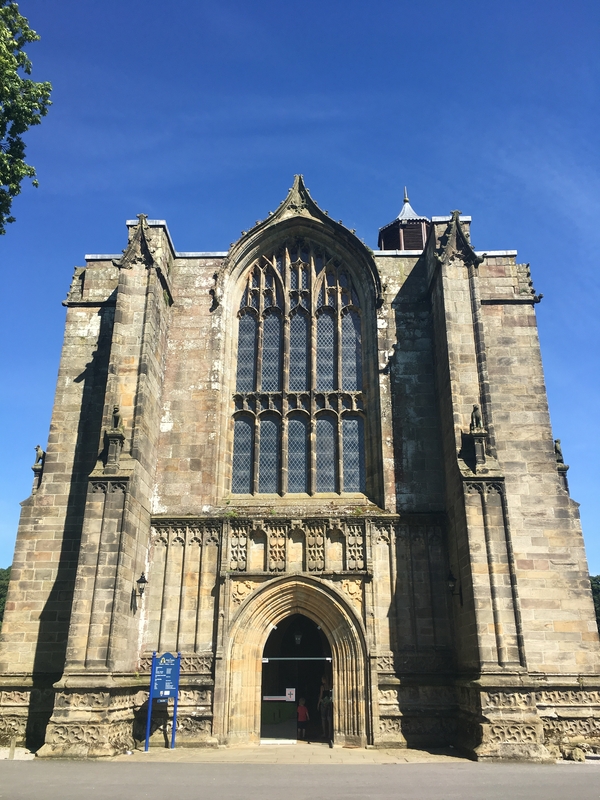 There was someone sitting drawing the Abbey, children playing hide and seek, an older group reading and discussing the history of the buildings, even a very talented couple practicing magic tricks. People clearly feel as inspired as they feel relaxed in these surroundings. 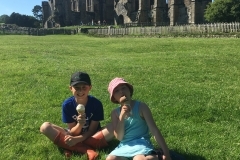 Near the Abbey is a little van selling ice cream and drinks. As we sat and enjoyed our refreshments others enjoyed a game of rounders, some were practicing hand stands and just ahead of us a baby was learning to crawl. 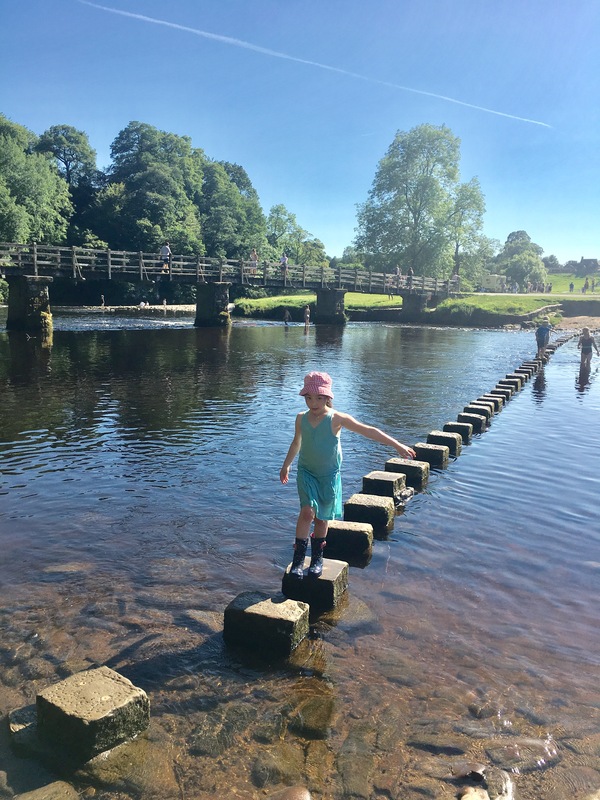 Before embarking on the welly walk, we had to negotiate the infamous stepping stones across the River Wharfe. 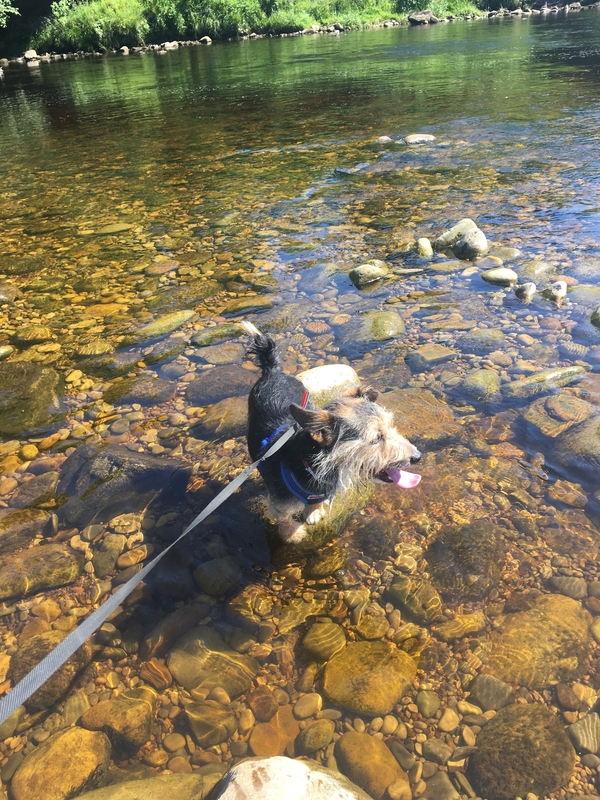 Well, when I say we had to, we didn’t , we could have crossed the bridge in a sensible and sophisticated manner – but where is the fun in that?! 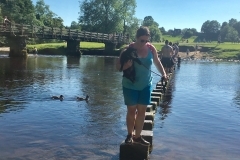 The main problem was that as well as a picnic bag and two children to safely get across, I also had two small dogs. 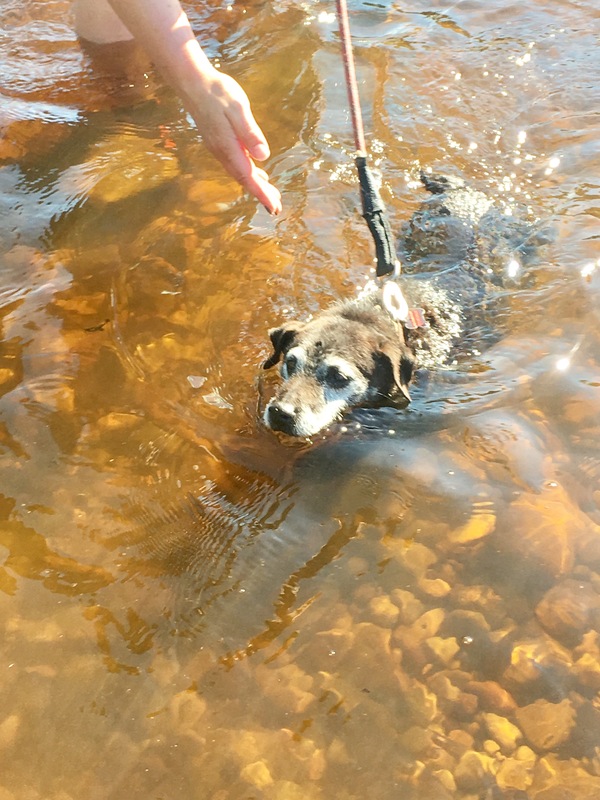 Now, said dogs do enjoy a little swim as much as the next pup. But, it is quite a long way across, deep in places, with a fairly strong current half way across. 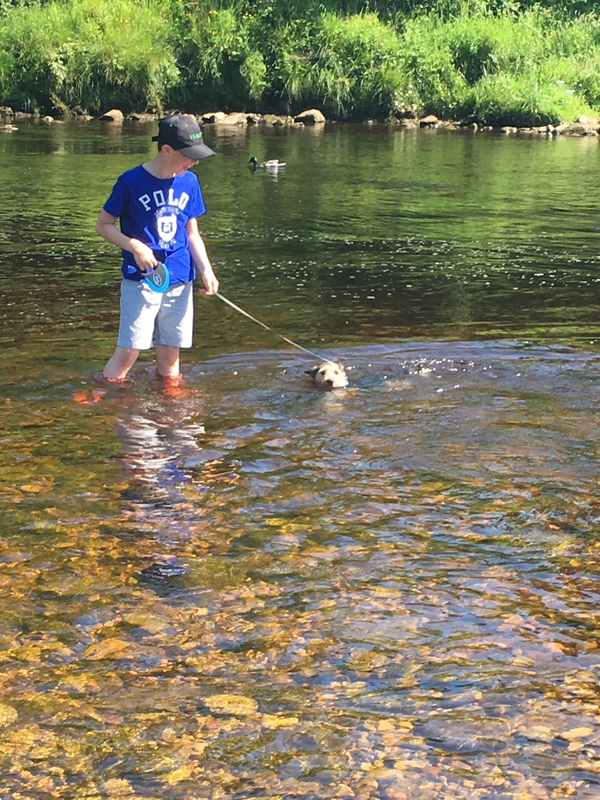 So I had to cross, with an old, cantankerous and rather over weight Jack Russell under one arm, a picnic bag on my back whilst holding the hand of an over excited 6 yo. Frankly, I was slightly disappointed not to receive a medal or at least a small applause for crossing without incident. It was so traumatic we did it again. Three times. 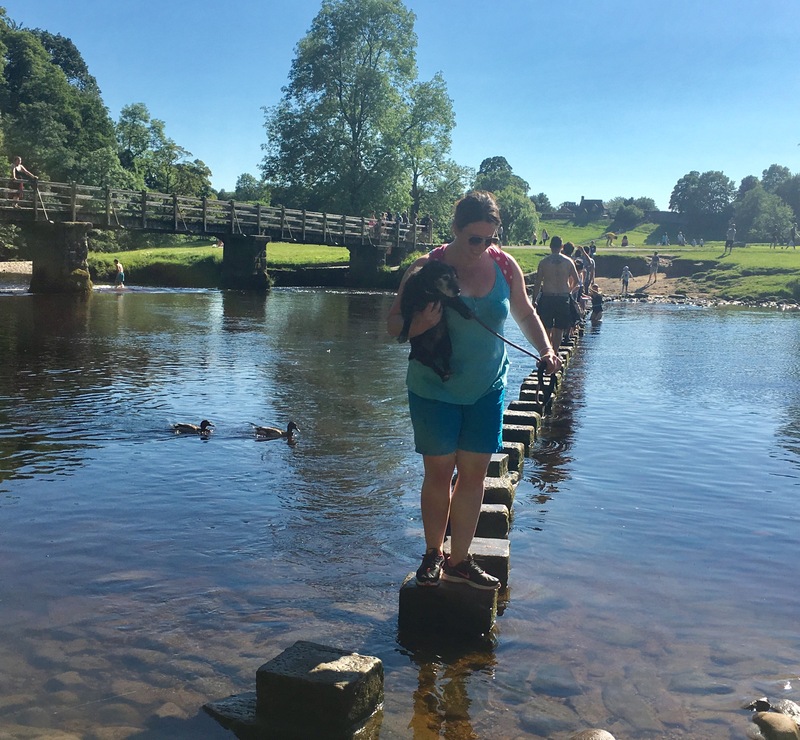 The Welly Walk at Bolton Abbey runs from 27th May – 5th November this year. 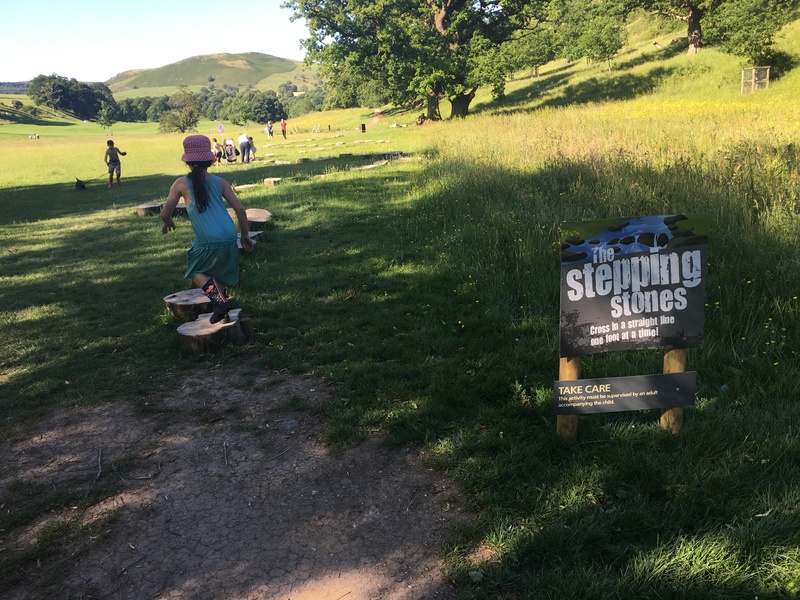 Follow the signs into the woods and prepare to have an absolute ball, negotiating tunnels, slides, bridges and climbing trees. 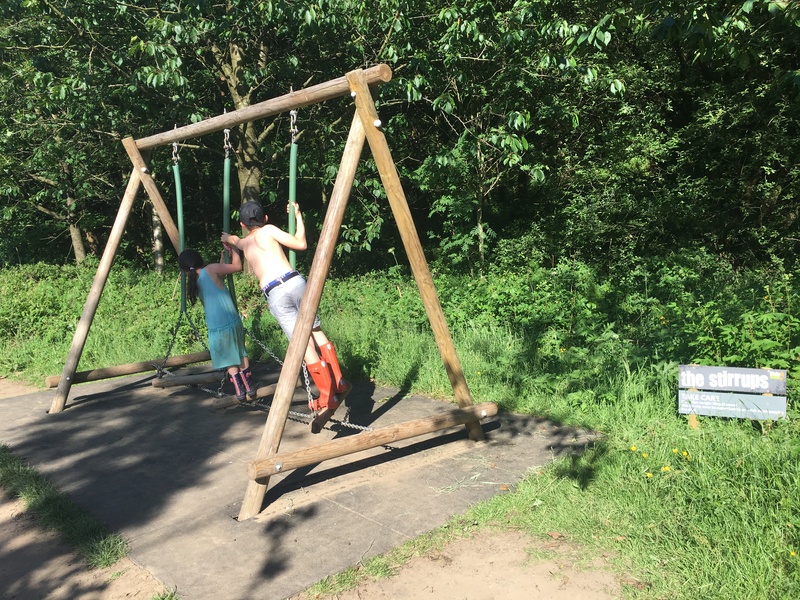 Some parts of the trail are steep and some sections have unguarded drops so children must be accompanied and unfortunately it is not accessible with wheelchairs or push chairs. 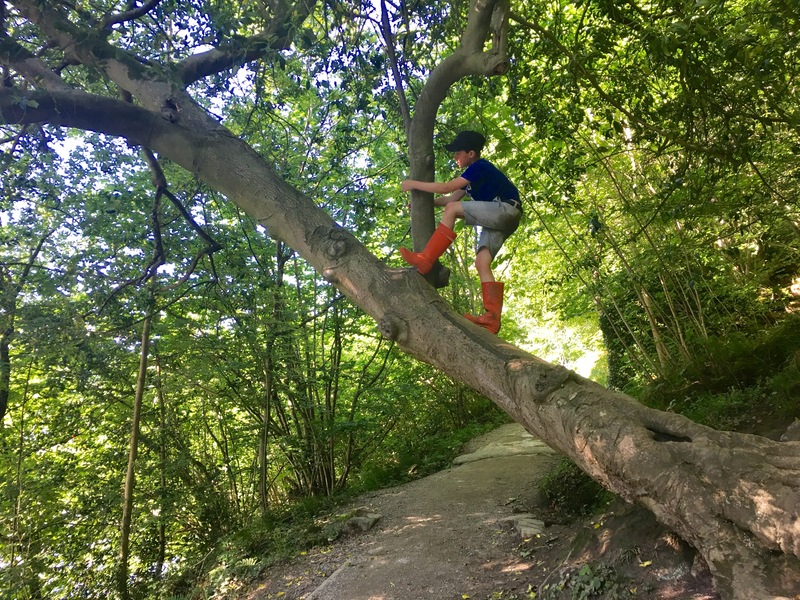 Wellies are advised ( obvious I suppose ) and perhaps a change of clothes – they get wonderfully mucky! 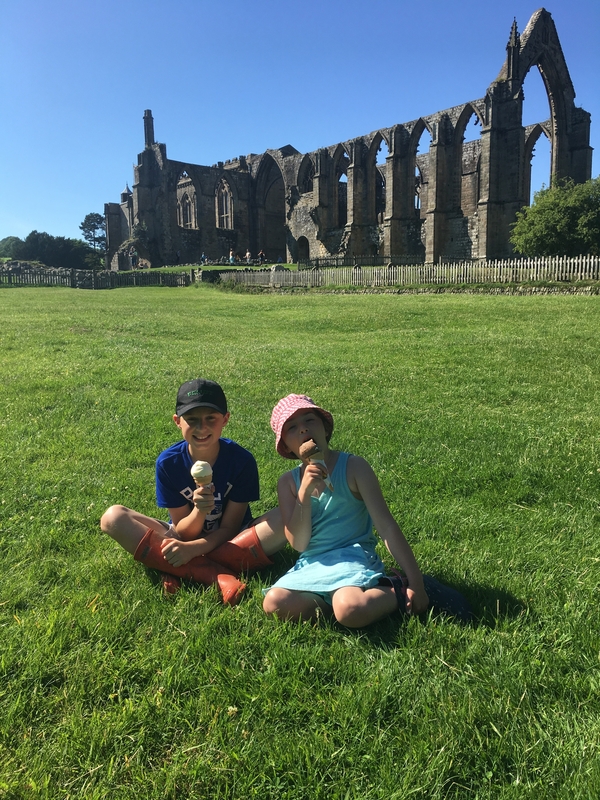 We enjoyed the most fabulous day at Bolton Abbey. 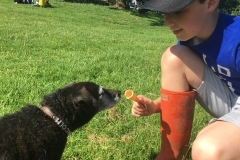 We didn’t leave until dusk, the children and the dogs were happy, filthy and exhausted. 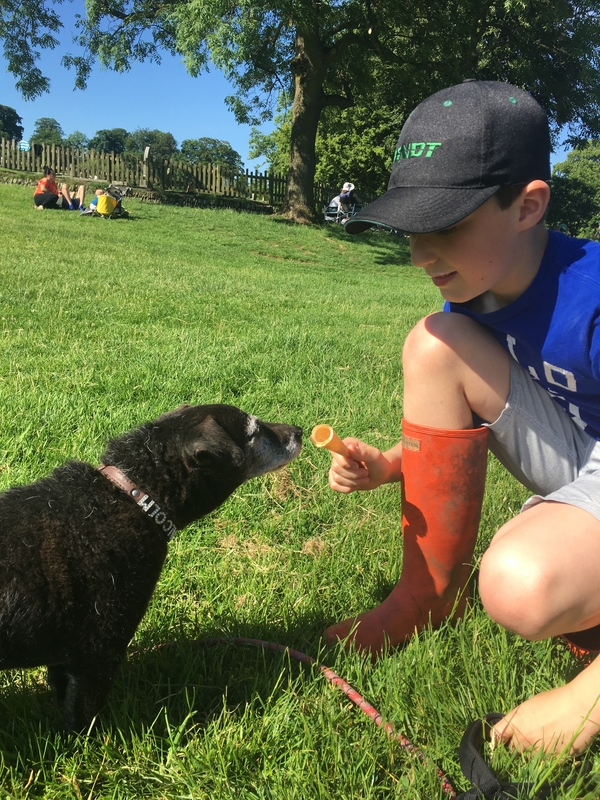 I obviously raved on and on about it so much that quite a few friends visited over the following week or so and they all said the same thing- that they couldn’t believe they had never been before and that they had had a super time. Next time we visit we will definitely take a little BBQ and a group of friends and make a real day of it. 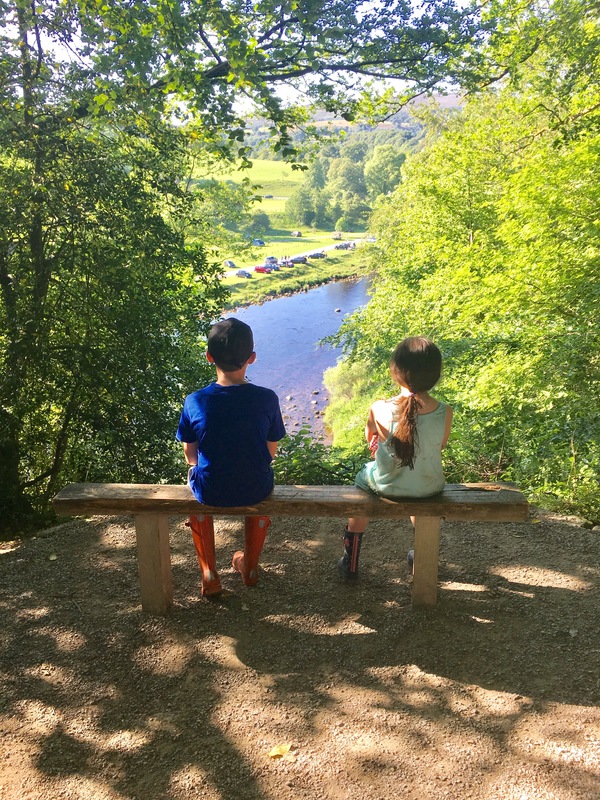 If you are looking for other fabulous things to Yorkshire, have a look at Yorkshire Tots and Teens Bucket List Guide.